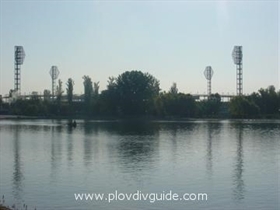 Plovdiv Municipality has decided to administer concession of the “Plovdiv” Stadium. The sports facility will be administered for a period of 30 years. The construction of the stadium is currently not officially finished, as there is still no building acceptance certificate. According to preliminary evaluations and calculations, more than 30 million BGN are still needed for the completion of the construction. The largest sports facilities has an area of 68 646 sq.m., featuring football grounds, running track and throw field; as well as tennis court, “Chaika”sports hall, audience seats and smaller sports halls. The future concessionaire is expected to invest 6.4 million BGN in the property. The goal is the stadium to be successfully finished and be licensed by FIFA and UEFA for national and international competitions.